I live with what I’ll call clean-camp syndrome and it turns out that my habits might match the orderliness of the people who settled my birthplace at the start of the 19th century. The first families of Granville, Ohio, built the first cabin on the village site in November 1805, according to a history I am reading now. They built in the hilly, green country along the west branch of the Licking River, also known as Raccoon Creek, where nearly 150 years later I caught my first fish. The second building, a log schoolhouse with neat, square-ended beams, sturdy roof, oil-paper windows and planed puncheon desks fixed to its walls, was completed in January, 1806. A library was completed the following year. The first pulpit was the stump of the first tree they felled, this history says. Some community members planted corn while others cut timber and built buildings. An abundance of wild turkeys provided much of the meat for the first year. There were plenty of rattlesnakes and wolves, but settlers were not deterred, drawn there by cheap western land after over-farming around their Massachusetts community of the same name. Granville grew primly, begun by New Englanders and looking like a New England town, church spires rising over a latticework of compact avenues among the hills and trees. Their faith was Protestant, although apparently somewhat cliquish: The community was laid out with a central village square — now the intersection of Broadway and Main — with lots at each corner for a church of a different denomination. I was baptized in a new Episcopal church one door away from the church on the southeast corner of the square, the new church reportedly being built after a feud over the propriety of working on Sundays. My congregational predecessors believed it was OK. To this day, I am proud to be part of a community, but also like to think of my identity as at least one door away. 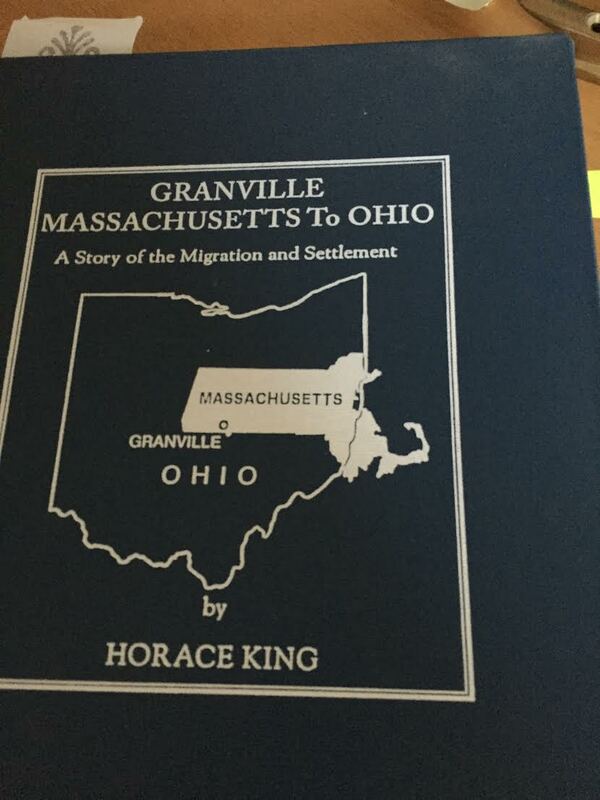 And here I am now, on a Sunday in New Mexico, reading Granville: Massachusetts to Ohio by Horace King, a late art professor emeritus at Denison University, doing some research for something else I’m writing. It’s easier to read about Granville than it is to return. It is too settled for me. My life hardly has been as neat and tidy as its founders made Granville, but I appreciate their self-determination and industry. 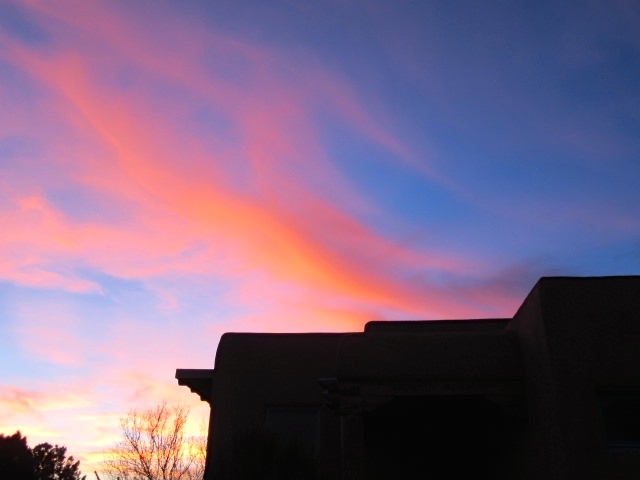 Clean-camp syndrome means that I am better off being a dream rancher than a real rancher because I could not ride out for a day’s work without worrying about falling corrals, sagging gates or peeling paint. The truth is that the Martha Stewart in me exceeds the John Wayne. And Granville is the beginning. The first place I lived was in married student housing on the Denison University campus in Granville, where my father was an undergraduate on the GI bill. In 1949, the dormitory-like rows of post-war buildings were known as the Enchanted Cottages. We lived in several places in Granville — on South Main Street, on Pearl Street, the Kappa Sigma house for part of a summer, when my father was both a brother and caretaker. All this was before the second grade, which meant a move to the less settled world of Las Vegas, New Mexico. Granville is where I have my first recollections of smells, my first sense of words, my first sense of sadness because my mother insisted on reading “The Little Match Girl” to us on Christmas Eve. It is the setting for my first and still recurring nightmare. I suspect my father, as a stunt, let the baby stroller roll free down a steep, curving, brick drive to the university, showing off his athleticism by catching it before a crash. It’s where I had my first crush, although the dalliance might have lasted only the length of a school bus ride. Her father ran either Taylor’s or Scott’s drug store, across Broadway from each other, and it’s unclear in my memory whether the crush was linked to dreams of special soda fountain access. Granville, as I said, is where I caught my first fish, although it was returned to Raccoon Creek after swimming around for a while, confused, in my grandparents’ kitchen sink, just up the hill on Main Street. My father said it was a sucker. It’s where I remember having my first soda fountain Coca Cola in a bell-shaped glass, sweating with crushed ice. It’s where I wandered in the garden with my grandfather and a salt shaker borrowed from the kitchen, plucking fat tomatoes from the vine and downing them on the spot, like big, sloppy apples. That’s him below, John L. Bjelke, sitting on a bench on Broadway, near the intersection of Broadway and Main. His home and garden were a few doors down S. Main. Granville is where I had my exposure to the dark undercurrents of history when I was shown the secret doorway of the Underground Railway in the old fraternity house. It’s where I first wore rubber boots and a yellow slicker in the rain; where I studied the Farmer’s Almanac, suspended by a string in my grandfather’s lavatory, down near the coal chute in his basement; came to know Camel cigarette packs and Rotary watch chains; where I slurped brassy-tasting water from green, iron fountains on Broadway; where my grandfather would put pennies in glass-topped machine to give us handfuls of salty, shelled peanuts on the porch of the feed store by the railroad tracks, leaving me with a lifelong association of peanuts, rabbit pellets, diesel fumes and Ralston Purina; where I first fancied fire trucks; poked oak logs in a brick fireplace; turned up my nose at anchovy paste; learned to play Mumblety Peg. And I am lucky I did not become Wimpy, because it also is where I first smelled fragrant hamburger grease, wafting over the sidewalk from a small diner’s ventilation fan on the Main Street side of the Opera House. It is where I first heard stories, told by my grandfather, read by my mother; and poetry, metrically, from my deep-voiced father. It’s where I first sledded in winter snow, careening belly-down, nose-first past the 19th Century graves of the Old Colony Burying Ground. Good writing, JR! Specially those one-liners (one-sentencers?) Clear, evocative. 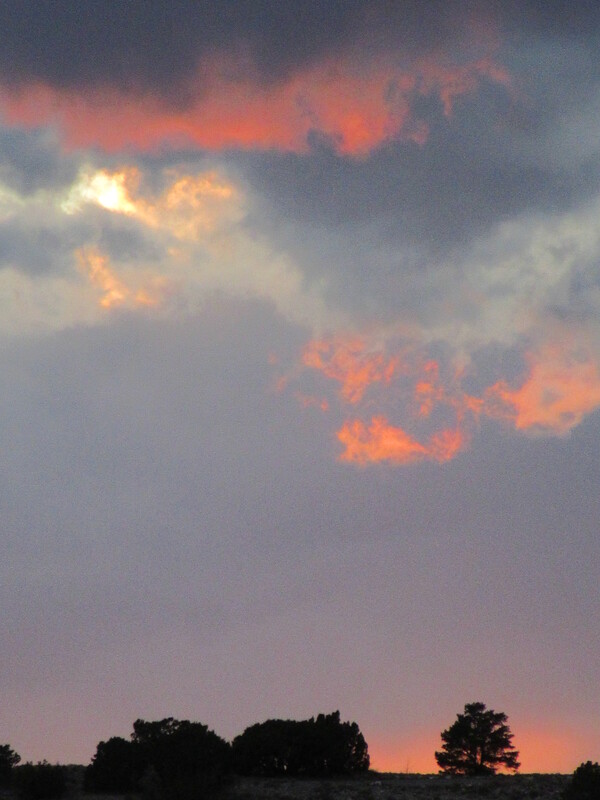 Would like to see the same style collecting the experiences of an observant young man in NM in the Sixties. John, this a lovely reminiscence, especially for a fellow Granville native who appreciates living elsewhere. Thanks, Amy. Been enjoying your Montana photos since starting to Facebook.